Prints from four of my #ArttoEndViolence pieces are included in Viral: RK25. 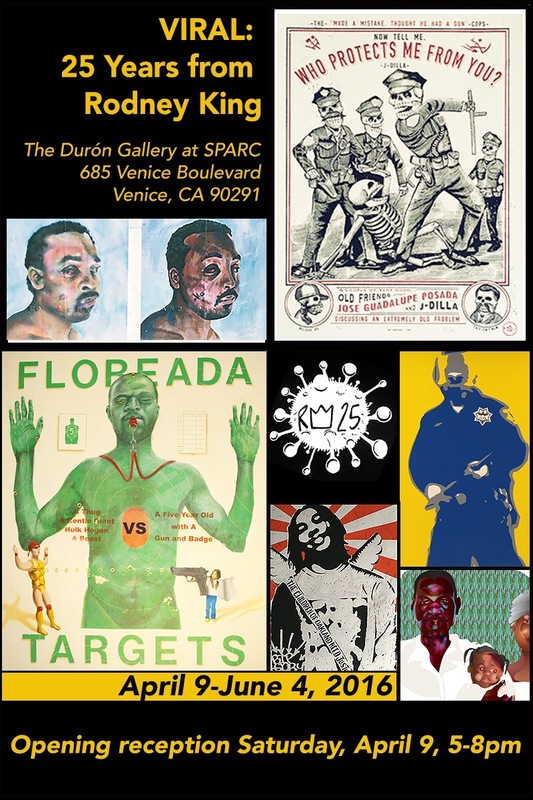 The show, opening Saturday, April 9, 2016, features artwork that documents police brutality in the 25 years since Rodney King. The Durón Gallery Space, SPARC, 685 Venice Blvd. Venice, CA. Deeply moved by your post. I’m sorry I missed your post. The show will revive in Oakland this September.